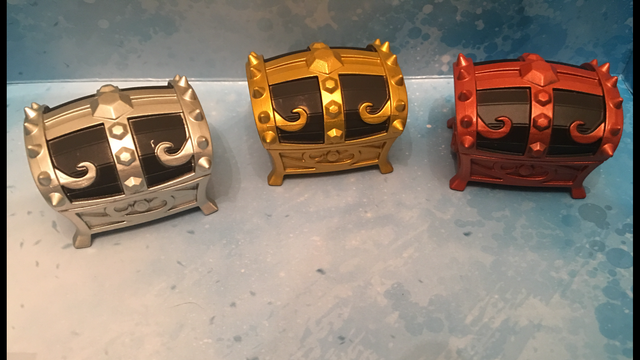 Went to TRU yesterday and picked up about 15 very nice treasure chests from the Skylanders Imaginators line for $.50 each. They don't open due to their digital contents but they look perfect for any Dwarven treasure mound or just RPG styled shots. They come in gold,silver,or copper. Hope to get more next time I go. Last edited by Visionary on Fri Jan 26, 2018 6:04 am, edited 1 time in total. 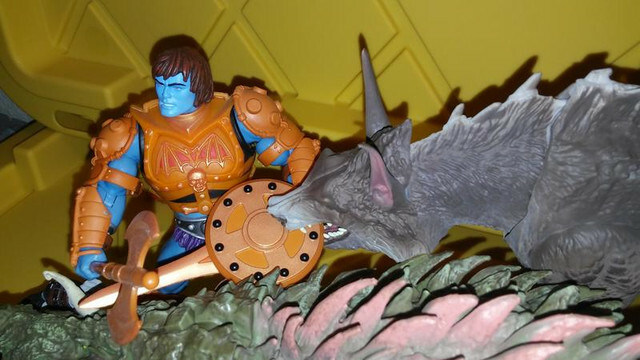 Unfortunately I don't have any of my Mythic Legions figures readily available. There was a huge fire in town a few months ago, and I had to evacuate. So all of my figures are packed away in boxes still. Went to four Walmarts that had just received these figures and was only able to find one Big City Brawl Lizzie and One big City Brawl Ralph (which for me are the most coveted figures.) I will do video reviews and post them soon. Anyway these are all selling like hotcakes around here. The Super large Ape figure isn't that great. I don't like the paint or the color scheme. The sculpt is soft. I don't think the Four Horsemen sculpted it and maybe they just improved the articulation. The Pre-transformation (little static figures) are amazing sculpts but too small to fit in with Mythic Legions. I'm guessing the 4H made these. The Rock likeness is good and the small Gorilla is really well done. Right now I'm crafting a saddle for Lizzie. Damn. Can anyone else see the pics, or are they not showing up at all? I see them all just fine. I couldn't see them yesterday but they are there today and look good. I think that I will take a shot at making my own saddle's. The video game Ark Survival Evolved has a saddle for every kind of animal. I plan to do a image search for ideas. Your rent a wreck story was really funny. Havoc wrote: I couldn't see them yesterday but they are there today and look good. I could see them yesterday but now they're all broken. Huh.